Whether it is the weekend, summer, or just a day when your family has a little extra free time, finding something fun to do with your kiddos can be a challenge. While the park is always an option, it can get old going to the park week after week. As a parent, you will likely want to find an activity that is more fun and exciting for your kiddos. There are so many fun things you can do with your kiddos in Palm Bay. At Yu Jump, we know that finding the perfect activity for your kids isn’t always easy. Our indoor play place is a unique option that kids of all ages can enjoy! 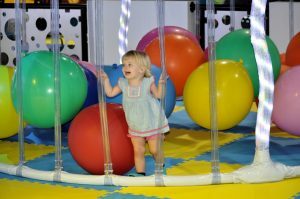 While we think that our play facility is the perfect place for kids, we wanted to give you some additional options as well. Read on for more ideas of fun activities for kids! Living in Palm Bay, Florida has its perks and one of those perks is the easy access to the beach. A day at the beach is a great way to spend free time with your kiddos. Whether you choose to swim in the ocean or build sandcastles along the beach, you and your children will love spending time in the great outdoors. The only downside to a day at the beach is the prep work. If you plan on spending the entire day there, you will need to pack lunches, extra snacks, bottles of water, toys, sunscreen, towels, and anything else your kids may ask for during your beach day trip. The prep work can make a day at the beach a bit exhausting and something you will likely only want to do every so often. Museums are a great place to bring your kids on a day off. Museums are fun for everyone and can be educational too! Whether you go to an art museum, history museum, or a museum of nature and science, your kids will love looking at all of the exhibits and learning about topics that interest them. 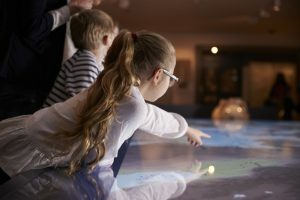 It is simple to spend several hours at a museum and keep your kids entertained the entire time, however, sometimes children can get fussy and bored in museums, especially if it is a museum they are not interested in. Be sure to choose a museum that keeps them entertained and excited! Like museums, zoos are a great choice for kiddos. A day trip to the zoo is always fun and can keep your children entertained for hours. They will love watching the animals play and interact with each other. This is another place that can be educational for your little ones. You can read them interesting facts about each animal and talk about what their favorites were. Kids love zoos and we know that most parents get some enjoyment out of them as well, making this the perfect activity for you and your kiddos! Putt putt is a fun activity that the entire family can enjoy. This is a fun game that teaches your children a variety of different skills and helps them work on focus. It also can provide your family with a bit of friendly competition! The only problem with putt putt golf is that some kids may get bored or have trouble focusing on the activity. Of course, we have to mention Yu Jump in Palm Bay! Our indoor playground is full of inflatable slides, bouncy houses, play areas, and arcade games, making it the perfect place for all kids! Your children will have endless amounts of put playing in our epic bouncy playground, it is sure to keep them entertained and active for hours. Yu Jump is great for all ages and a great choice for your next day off. Learn more about the events we offer each week and start planning your next trip to Yu Jump. Contact us with any questions you may have!